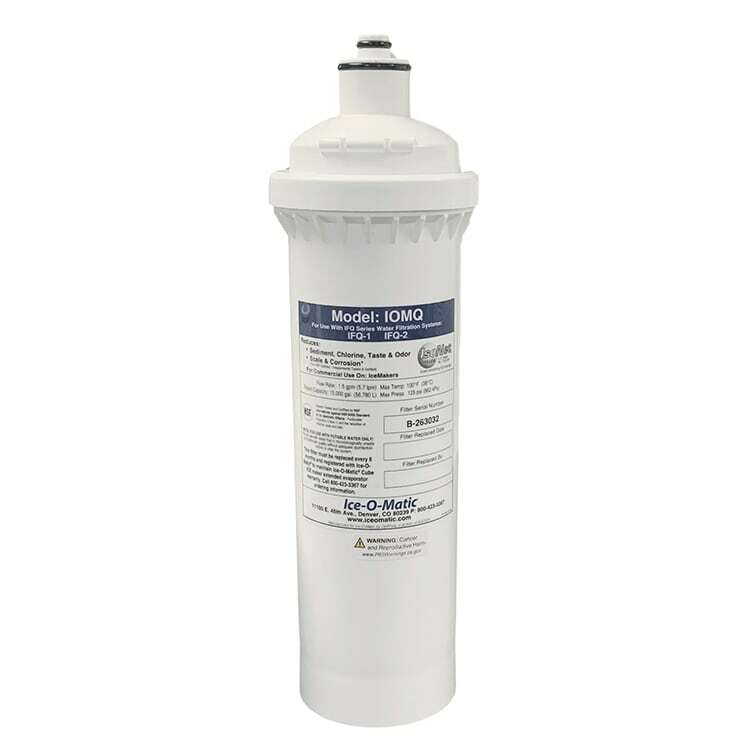 The Ice-O-Matic IOMQ replacement filter cartridge installs and removes with a simple 1⁄4-turn twist. This cartridge reduces the chlorine taste in water, removes particles such as calcium as small as half a micron, and prevents scale formation to extend the life of your equipment. This filter cartridge is compatible with IFQ1 and IFQ2 Ice-O-Matic filter systems. "very simple to install.. Twist mode !!" "Performance is great and the quality of the ice is great. Thank you." "Great product. Easy to install. Works perfectly." I would buy this product again and again ! !